Prunus lusitanica (portugal laurel or portuguese laurel) is an attractive evergreen large shrub or small to medium sized tree, which is widely used for hedging and topiary, as well as a specimen shrub or tree. 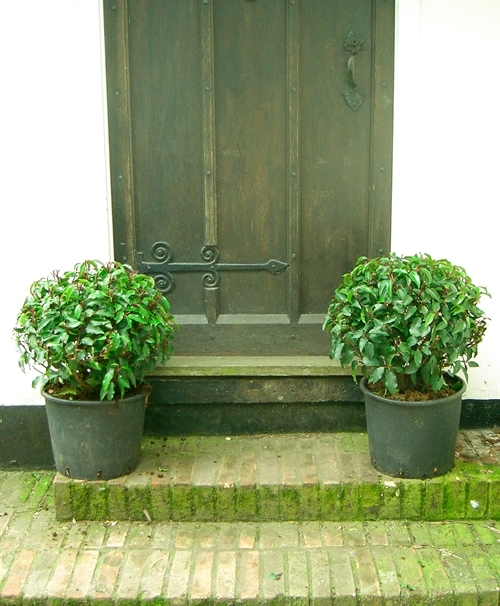 It is hardy, and can be used as a close subsitute for bay topiary (laurus nobilis), where the bay trees cannot survive the winter. Prunus lusitanica will grow in any reasonable garden soil in sun or shade. Portugal laurel has medium sized dark green evergreen leaves, red twigs, and small white scented flowers in June, followed by red berries, which change colour to dark purple. The variety prunus lusitanica 'Angustifolia' is similar to the species prunus lusitanica, but has deep green leaves, and is smaller and neater than the species. The rate of growth is about 15-30cm per year. Prunus lusitanica will grow into a tree about 12 metres tall. If left untrimmed, prunus lusitanica 'Angustifolia' will grow to a dense cone about 5 metres tall in time, but can be easily kept trimmed to topiary shapes, or a medium height to tall hedge. Portugal laurel is hardier than common laurel, and much hardier than bay. Prunus lusitanica 'Angustifolia' makes a good substitute for bay (laurus nobilis) topiary, especially where bay trees do not survive the winter. Small bare root prunus lusitanica hedging plants are usually planted about 40cm apart. Larger root balled and pot grown prunus lusitanica hedging may be spaced further apart, depending on the width of the plants when planted. 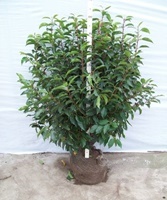 Portugal laurel hedging around 2.5 metres tall may be spaced at around 80cm apart. 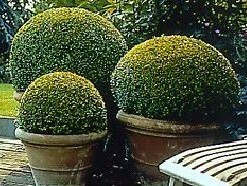 The exact spacing will depend on plant size and how complete a hedge is desired initially. 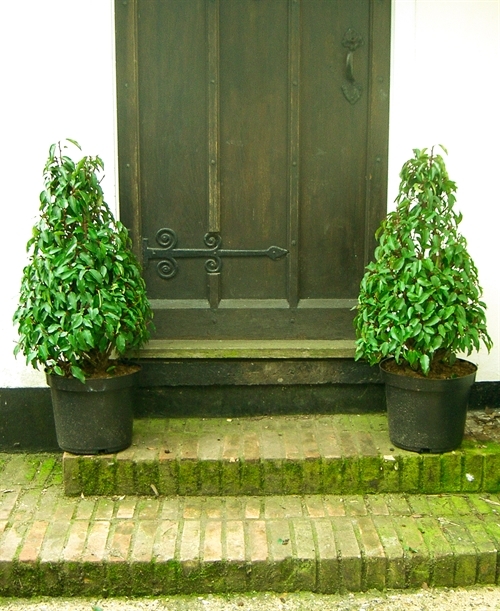 Pot grown and containerized portugal laurel hedging and topiary plants can be planted at any time when the ground is workable. The bare root and root balled hedging plants can only be transplanted in the dormant season, between November and April. Prunus lusitanica grows about 15-30cm a year. 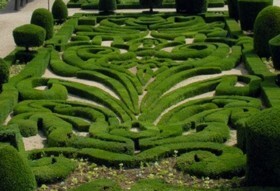 Portugal laurel hedging and topiary can be clipped once a year, in summer, and can then be neatened up in the autumn, if required. Please email or telephone 01502 578598 if you require any further information, or would like a quote for your particular requirements. 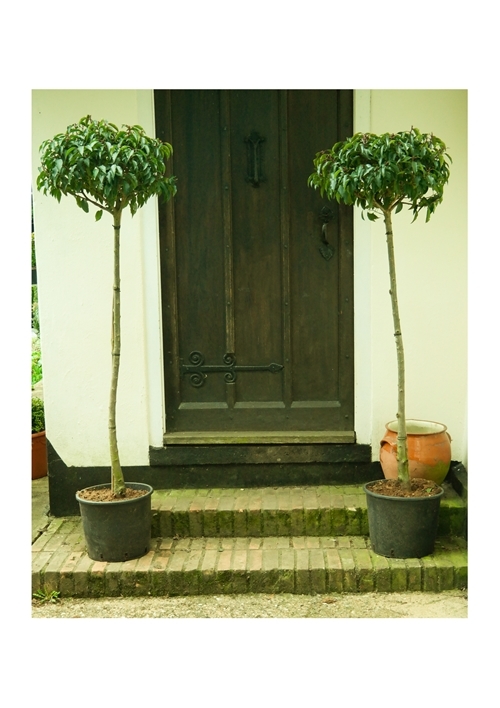 Portugal laurel is a very close substitute for bay tree (laurus nobilis) standards, especially where bay trees do not survive the winter. Prices include UK delivery within 1-4 working days and VAT. Portugal laurel is a very close substitute for bay tree (laurus nobilis) balls, especially where bay trees do not survive the winter. Portugal laurel is a very close substitute for bay tree (laurus nobilis) cones, especially where bay trees do not survive the winter.